"Wounds and Worlds: Spiritual healing as politics otherwise in California"
Lecture by Megan Raschig (University of Virginia). Free & open to all. Reception follows. In Salinas, California, among a persistently criminalized Mexican and Mexican-American population, Indigeneity-oriented spiritual healing has emerged as a critical register for responding to state violence through new community- and world-building relations of care, repair, and refusal. An often-overlooked inheritance of the Chicano Civil Rights Movement, healing is mobilized as a powerful lens through which to frame the embodied continuities of colonial displacement and late liberal dispossession among these communities. A project of persistence, healing here signals a turn to alternative or ‘otherwise’ political action in criminalized, securitized, and terrorized communities of color around the United States. Based on ongoing ethnographic involvement with Chicana/o healing collectives in Salinas, this talk will situate the politics of healing in the contemporary United States and reckon with anthropology’s commitments and complicities in the building of otherwise worlds. 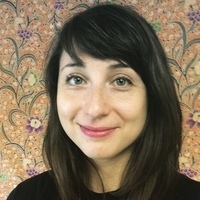 Megan Raschig is a Critical Medical Anthropologist and Postdoctoral Fellow at the University of Virginia, with interests primarily at the intersection of health, racial justice, and emergent formations of care in contemporary North America. Her research has focused on the politics of healing in late liberal America, theorizing the possibilities for political resistance and persistence opened up through self-, community-, ecological and ancestral care in contexts of structural abandonment and environmental degradation. This focus was nourished by her time with La Colectiva de Mujeres, a Chicano indigenous women's healing collective in Salinas, California, and her fellow Mujeres' responses to the myriad overt and covert police killings and state violence in thies agricultural city. She seeks to glimpse the less-legible horizons of political struggle in our (utterly chaotic, painful, and provocative) midst and think through our potential complicities and involvements in these projects of intervening on the world. Convened by Laura McTighe, Society of Fellows, Postdoctoral Fellow in Religion. Funded by the Dartmouth Society of Fellows, and co-sponsored by the Department of Religion and the Department of Anthropology.